Popular table clock has evolved with some minor changes to our immensely popular Ophelia Table Clock to create its sister, the Sophia. 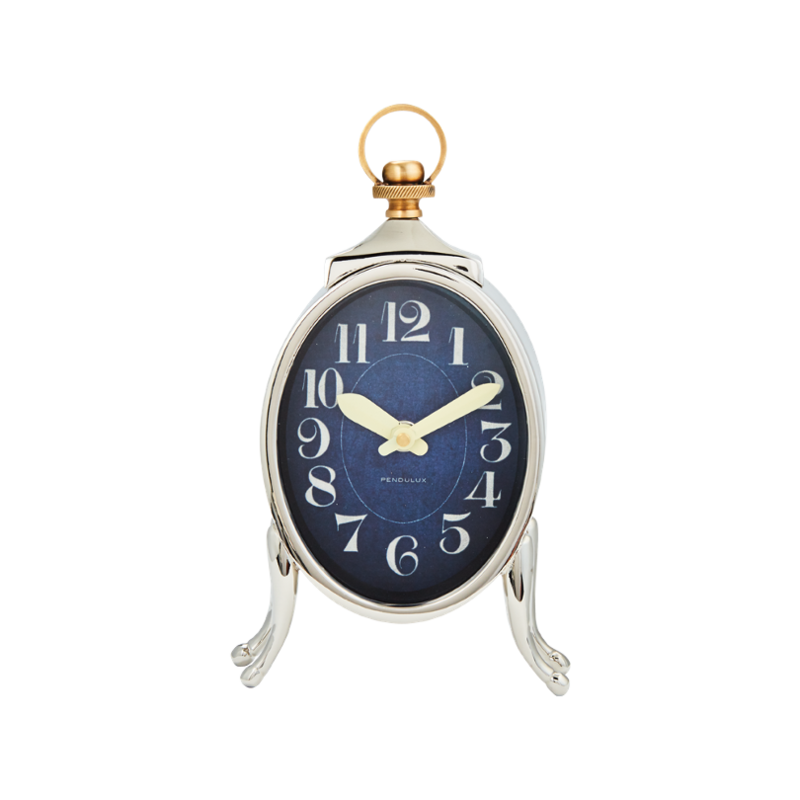 A midnight blue dial is dramatically contrasted with cream colored clock hands. 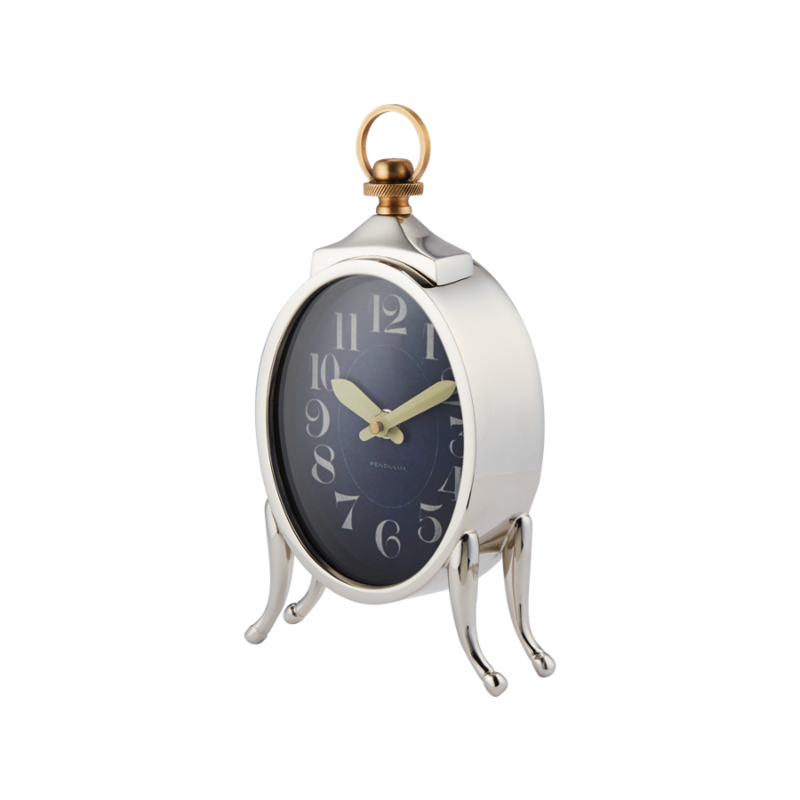 A decorative loop originally found on a carriage clock was added to the top to create a strikingly different timepiece.